LG isn’t the only company that took the wraps off of a new flagship Android phone today, as Sony has introduced a couple of new models as well. The Sony Xperia XZ1 (above) and Xperia XZ1 Compact (below) are now official. Both phones place a focus on camera performance, packing a 19-megapixel rear camera with features like Predictive Capture, which starts buffering images when it senses action or a smile and before you press the shutter button. Also included is 4K video capture, SteadyShot technology, and super slow motion 960fps video recording. One other notable camera feature of Sony’s new phones is called 3D Creator. With it, the XZ1 and XZ1 Compact can scan an image or person in 15-60 seconds and then create a high-res 3D image of that thing. There are four scanning modes available: face, head, freeform, and food. Around front, both the XZ1 and XZ1 Compact offer wide angle cameras for your selfie needs. 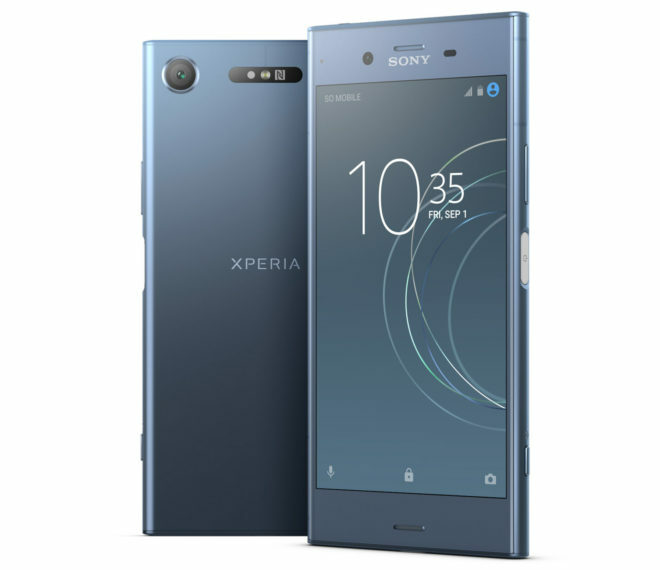 The XZ1 is packing a 13-megapixel front-facing camera with a 22mm wide angle lens, while the XZ1 Compact has an 18-megapixel super wide angle camera with 120-degree field of view. Other shared features of the XZ1 and XZ1 Compact include the Snapdragon 835 processor, 4GB of RAM, a microSD slot, high-res audio support, USB Type-C, IP68 water and dust resistance, stereo speakers, and a 2,700mAh battery. Also of note is that both phones will come preloaded with Android 8.0 Oreo, making them some of the first non-Nexus and non-Pixel phones to get Oreo. Now for the differences. 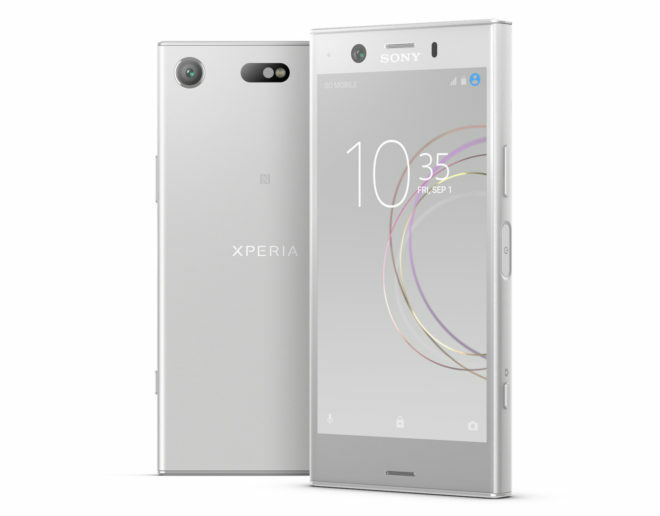 The Xperia XZ1 features a 5.2-inch 1920×1080 display, while the Xperia XZ1 Compact is packing a smaller 4.6-inch HD screen. The XZ1 Compact also comes with less storage (32GB) than the XZ1 (64GB). Also of note is that in the U.S., both the XZ1 and XZ1 Compact will lack a fingerprint reader. Finally, Sony has confirmed to me that the Xperia XZ1 Compact has been certified to work with T-Mobile’s VoLTE and Wi-Fi Calling in the U.S. The unlocked Sony Xperia XZ1 will launch on September 19th at Amazon and Best Buy at a price of $699.99. Meanwhile, the unlocked Sony Xperia XZ1 Compact will be released on October 4th for $599.99. It will be simple to enable, just like the X Compact and Z5 Compact. You and I have a different definition of simple. You have to replace the stock US firmware with firmware from a different region. Oh, and when you do this, you lose some compatibility with local carriers. OR…I could just buy a phone where they didn’t disable the reader, like an Essential or Pixel. Sorry Sony, but you actually have to deliver if you want to get paid. You may not think flashing firmware is simple, and that’s your opinion, but I’ve done it many times following well written guides on XDA. Oh and you absolutely do not lose any carrier compatibility when flashing firmware from other regions. > You may not think flashing firmware is simple, and that’s your opinion, but I’ve done it many times following well written guides on XDA. I’ve written my own custom ROMs. Functioning out of the box is always simpler than using a custom ROM. That’s not opinion. You’ve written custom ROMs, but don’t think taking 15 minutes to flash a stock rom is simple? OK. Sounds about right. And this doesn’t involve custom ROMs at all. Stock rom. Fact. – Having to flash a custom ROM to make it work. If you can’t put in 15 minutes of effort to make the fingerprint scanner work, then you’re right. This is not the phone for you. Move on to the essentials and pixels. For others who can’t stand all the giant phones on the market, the Sony compact line has been great, and I don’t mind spending 15 minutes to enable the scanner. I guess my question wasn’t simple enough for you to answer? Your question is irrelevant. I said it is simple to enable the scanner. For some reason you are disagreeing even though it’s obvious you have never flashed a stock rom on a Sony phone. If you had you wouldn’t be arguing it’s not simple. So that’s confirmation then, my question wasn’t simple enough for you to answer, and possibly too difficult for you to understand. Thanks for confirming that. I’m sorry for the difficult question I put on you. Yes, flashing a firmware from a different region is more than the average user will know how or care to do; however, it is infinitely easier than flashing a “custom ROM” which is NOT required to flash a stock firmware. Custom Roms require root. Flashing a stock firmware from Sony only requires a few minutes with a computer and a copy of Sony’s official firmware. One note though, you WILL lose VoLTE and WiFi calling if you flash another region’s firmware. You will not however lose any network connectivity as those are a function of hardware, not software. I personally would rather have the fingerprint reader enabled since VoLTE only works with a hand full of devices and I always have cellular signal so WiFi calling isn’t needed. And thank you for clarifying the process. Sounds similar to flashing regional firmware with my ye olde Galaxy S2 i-9100 (F THEE, Kies!). My point remains. If Phone A has VoLTE, VoWiFi, and a fingerprint scanner out of the box, and Phone B requires swapping regional firmware to choose between said features…guess which one gets my money. This was never about “oh, this is too hard.” It was about getting the right product for my money. And lacking core feature(s) is a no-no to me. That is speculation at this point. We have never had an unlocked Xperia with fingerprint sensor hardware that was TMo VoLTE certified, so the fact is that we don’t know for sure. Up until now, flashing a different region’s firmware on a US Xperia did not cost you any functionality. Good news. But Sony, you forgot about the Z5C and the XC. Best compact device in the market. Only compact device on the market, more like. I wish there were other options. Well there are those mid range ‘options’. Even many mid-range devices sport 5.5″ displays these days. They too have grown comically large. I don’t get it. Sony Mobile USA can get the XZ1C certified with T-Mobile but they can’t get it done with their flagship XZ Premium? What about VOLTE & wifi calling on the lager xz1? I see some sites saying both phones are certified. First of all, the compact is too expensive, but WHY ARE THEY WAITING UNTIL OCTOBER to release the phone?! Geez, it’s like they want to be forgotten about after Samsung, LG, and Apple all release their new devices. No fingerprint reader not to mention it looks like a low budget phone but has more of a flagship price. Also as mentioned in the comments below, why not make it with all the bands including T-mobile and waiting so late to release it. It’s like they want to fail on purpose! when will they increase battery size ? Though I have an xperia X compact with same battery (2700 mah) which runs a long time before recharge (several days of moderate use of apps- no games or video), they should increase the batter size for newer, more powerful processors. that bezel is bigger than my future.